When what you're doing isn't working, The Keto Beginning is the rocket fuel for achieving flawless health and effortless weight loss through sound nutrition practices and vibrant food preparation in ways you've never seen before. 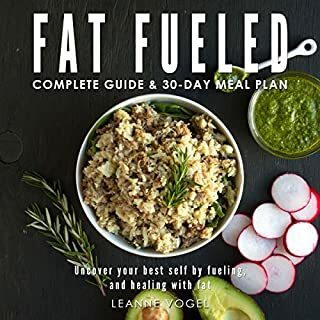 Seventeen chapters and over 70 high fat, low carb, moderate protein, dairy-, gluten-, sugar-, grain-, legume-free recipes, including a 30-day step-by-step meal plan. This is the lifestyle change that empowers your body and mind to achieve the state of health you've been searching for. All forms of carbohydrates - fruits, vegetables, grains, and starches - are broken down into glucose by your body, increasing your blood sugar. Your body considers raised blood sugar toxic, so it releases insulin (a storage hormone) to push the glucose into your cells. Once this occurs your blood sugar decreases, making you hungry again. The release of insulin halts your body's ability to release fat and toxins. If you're eating carbohydrate-based foods every two to three hours, your body is never fully able to exercise its ability to rid itself of excess. And if more carbohydrates are consumed than what your body needs, they will be converted into triglycerides and stored in your blood, leading to weight gain and unbalanced cholesterol. ©2016 Healthful Pursuit Inc. (P)2016 Healthful Pursuit Inc. So thankful I found Leanne's YouTube video's as well as this book. I have spent years in bad health from Metabolic Syndrome to stomach issues. I tried Vegan, Paleo, Atkins and too many others to mention. Keto just sounded good from the start and her podcasts and videos have helped me begin my journey of health. She speaks to you, not at you and never claims to be the authority on all things Keto. She shares her research and personal trials and errors. I've been Keto for about 2 months and my stomach is healing and I have cut my meds for blood pressure issues in half. My mind is clear and my moods are great. I couldn't have done it without her guidance. You get the same Leanne here as she is on her podcast, VERY smart!!! I am learning so much from her! This is a great book! Tons of info....can't wait to get into her next book! 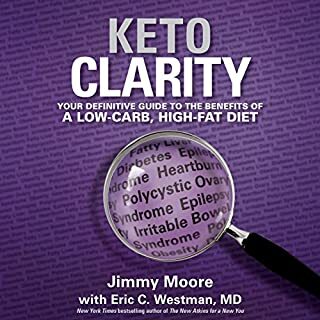 A good book for someone wanting to learn the basics to get started on eating for nutritional ketosis. That would be me. Actually it goes a bit further than the basics. Lots of good information. Much easier to understand. Leanne goes through her own journey and it is much like my own. Breath of fresh air and a sigh of relief. Easy to understand. Life changer. A great guide for keto beginners! 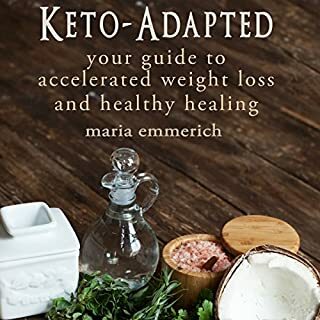 A clear, concise, personal experience of how to begin a ketogenic lifestyle and how to keto adapt aka fat adapt. Especially helpful for women. Thank you, Leanne! This book is well researched however the author frequently mispronounces words, which I found quite bothersome. Also there is an entire chapter where she reads from her food journal that could have been omitted as it was not informative and quite boring. The author's cadence is choppy and it makes for an irritating listening experience. I would not recommend this audiobook to a friend, but rather would suggest buying the paperback instead. I'm giving this book 5 stars, I would give it more if I could. 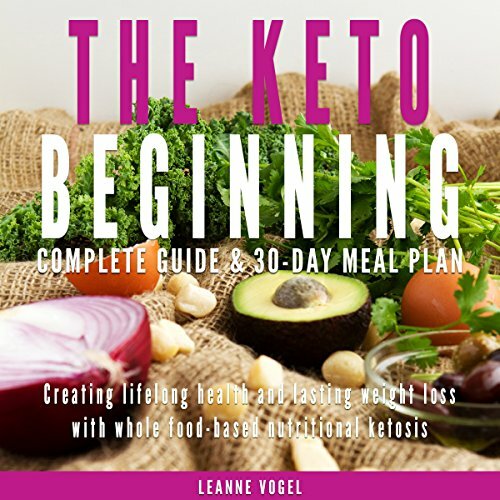 Leanne makes it very easy to understand the ketogenic lifestyle. Her presentation is exceptional. I would highly recommend this book and will to all of my friends. 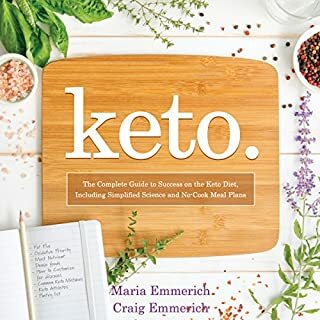 This is a wonderful book filled with soo much info about starting keto or even just going low carb. she talks to fast and it's not beginners. not a fan. her fast pace is hard to want to follow. slow down please. 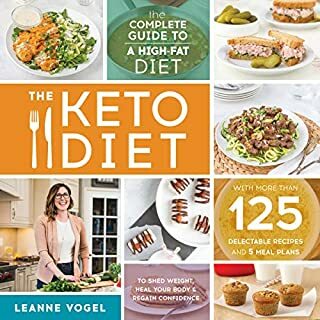 A Great guide to starting, what to expect, and how to flourish on a keto diet. I have just been informed by Audible staff that: unfortunately, the publisher didn't provide us with the accompanying reference material. Yet, throughout the entire book of The Keto Beginning, it constantly mentions the attached guidelines &amp; recipes....... I strongly feel the publisher should not be allowed to sell this book to customers, if it isn't going to supply what is constantly offered as reference material throughout the book.... Very frustrating and disappointing!! 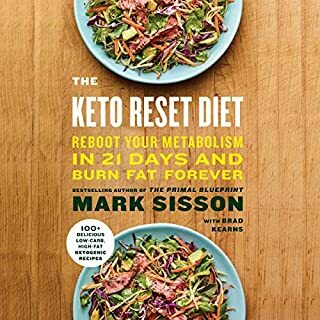 What an awesome read about going into Ketosis, currently on day 2 and feeling energized! Plus I have already dropped weight and barely hungry.